In simple terms, the buyer’s journey is the process a prospect goes through leading up to a purchase. It can vary from one product to the next, but the fundamentals remain the same: consumers become aware of a problem, consider their options, make a decision and then judge the outcome. For marketers, the challenge is not only understanding who your buyer is, but also understanding how to provide relevant content at the right time to the right person at the right time. This content can be delivered to the potential buyer in different ways depending whether the buyer is at the awareness, evaluation or decision stage. 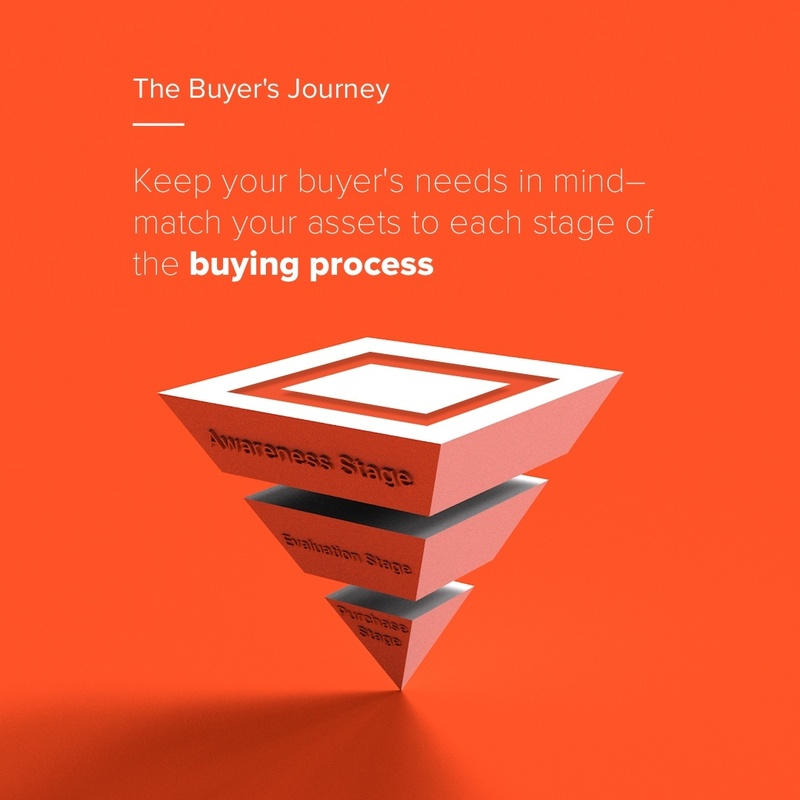 To gain a better insight into the topic don't forget to download our Infographic: The Buyer's Journey on the bottom right side of this page. Additionally, we encourage you to take a look at our Digital Marketing Toolbox page. Understanding your buyer’s journey gives you a framework that can greatly help in the delivery of relevant and engaging content that ultimately turns more prospects into loyal customers. At this stage, potential customers are recognizing some kind of problem or need and are open to solutions. They often perform research to better understand the issue and to define their requirements in clearer terms. As buyers are potentially unaware of your company when they start their search. You need to show how you can help with your product or service and secure your place on their list of potential solution providers. Ultimately, the content needs to focus on the buyer’s pain points and should present you and/or your company as an expert in your field, without specifically positioning your product/ solution. Buyers have now clearly defined their need and are considering available options. Although they may be aware that your business offers a solution, they’re not yet ready to make a commitment. They are still evaluating potential options, comparing prices and determining which are most likely to be able to fulfill their need. This is the point at which buyers will choose which product to proceed with. As they may gather information to reinforce their preferred option, content can now be more brand-specific, highlighting your unique value proposition and competitive advantages.